Government officials in the United States say the White House is readying to announce a policy change that will let armed unmanned aerial vehicles, or weaponized drones, legally be given to allied nations. The Washington Post was first toreporton Tuesday this week that the Obama administration is preparing to reveal details about an arrangement that will for the first time let American allies receive the controversial counterterrorism tool that has become a hallmark of recent US-led wars. “The United States is committed to stringent standards for the sale, transfer and subsequent use of US-origin military UAS,” or unmanned aerial systems, the State Department said in a statement on Tuesday. “The United States’ new UAS export policy establishes the standards by which the United States will assess, on a case-by-case basis under the US Conventional Arms Transfer Policy, potential exports of military UASs, including armed systems,” the State Dept. said. The US has long provided partners with UAVs which lack advanced weapons systems and instead are equipped with surveillance technology. In 2013, for example, Afghanistan’s then president, Hamid Karzai, said his American counterpart offered to provide a fleet of spy drones to the Afghan army. But Washington’s reluctance to sell weaponized drones has let other countries, including Israel, take advantage of the budding UAV market up until now, the Wall Street Journal reported. 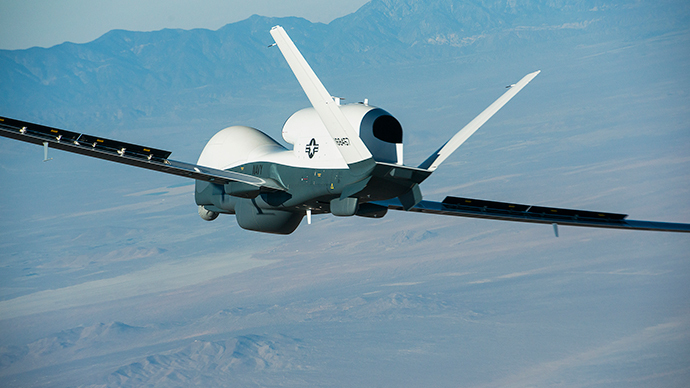 Reporting for the Washington Post, however, journalist Missy Ryan wrote on Tuesday this week that the Obama administration’s new policy change will permit the widespread export of armed drones for the first time, potentially allowing partners as wide-ranging as Italy and Turkey to take advantage of America’s armed, unmanned aircraft. Earlier this month, the Bureau of Investigative Journalism reported out of the UK that at least 2,464 people have been killed by US-led drone strikes since President Barack Obama took office in Jan. 2009, including a minimum of 314 civilians. According to the bureau’s research, at least 26 people were killed as a result of five drone strikes launched by the US Central Intelligence Agency last month alone.